Follow me as I adventure through my copy of Wreck This Journal by Keri Smith. Click here to see my other completed pages! This page has a really interesting set of instructions, mostly because they aren’t really instructions at all. There are so many fun directions these pages can go in! The top words say: Chew on this. 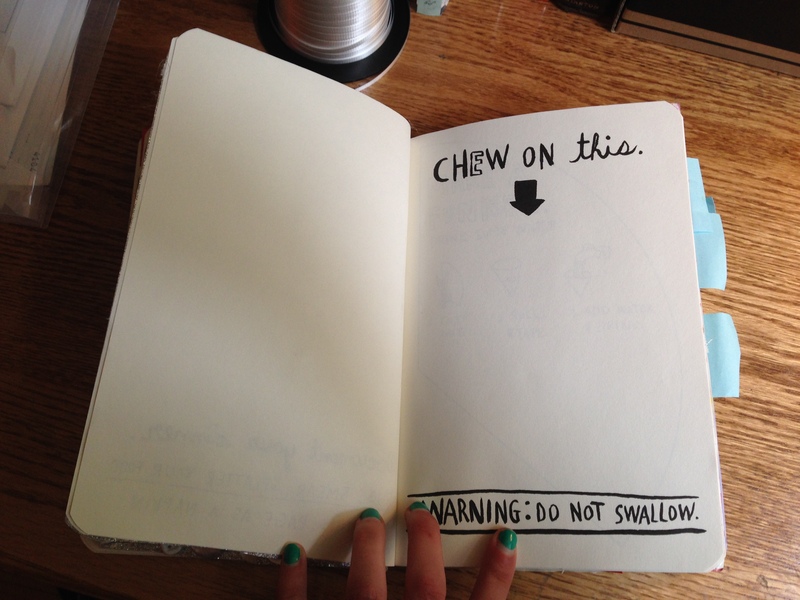 The bottom words say: Warning: Do Not Swallow. Predictably, I went in the foodie direction here. I couldn’t resist! Cookies were the first thing that popped into my mind, so I decided to incorporate some of my favorites! On the left hand page are chocolate chip, oatmeal raisin, and sugar cookies. 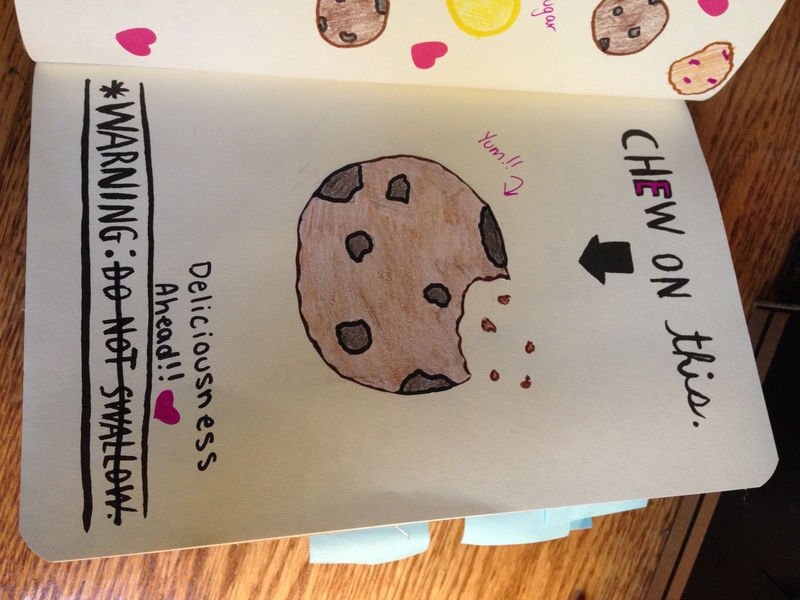 On the right hand page I crossed off “Do Not Swallow” and wrote in “Deliciousness Ahead! !” instead. I definitely want to gobble that cookie right up! Cool idea! 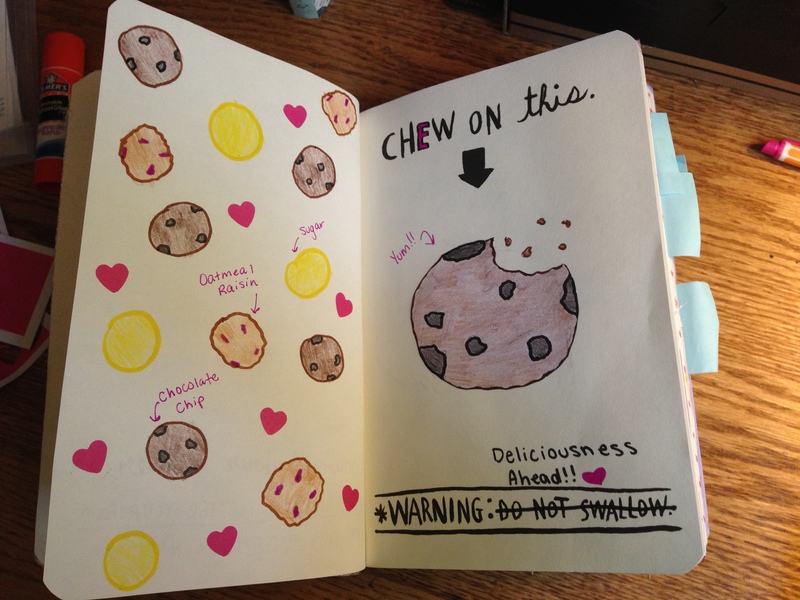 I had a Wreck This Journal…I just don’t know what happened to it! Oops!